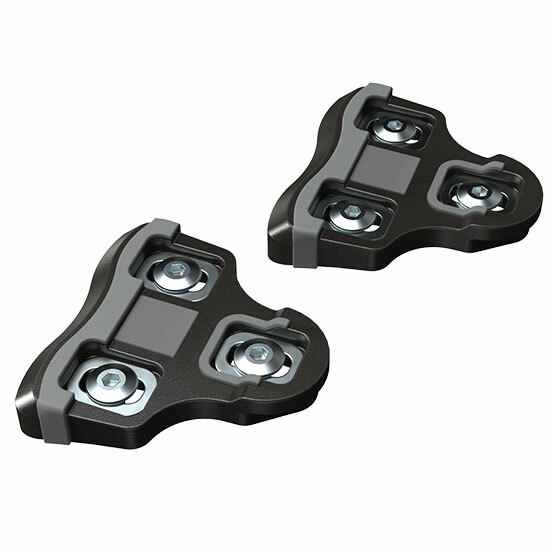 The Favero Assioma and bePRO cleats are for use with Assioma and bePRO power meter pedals. The replacement cleats are available in 6 degree float or 0 degree float versions. The cleats fit any 3-bolt style cycling shoe. These cleats last many times longer than look brand cleats. In the long run, they are less expensive. Hi Neil. Thanks for leaving us a quick review. I’m glad they are working out for you! The original Xpedo cleats came with my Assioma Duo pedal based Power Meter but bought extras. These cleats are way way better than the original Keo cleats and less expensive, as well. Keo cleats (Absolute garbage IMHO) hardware screw stop plates are small and softer that will sink & deform with the recommended tightening torque. They aren’t heat treated properly. Rubber inserts work as designed. Hi MBautista. Thanks for leaving us a review on your Favero Assioma cleats!